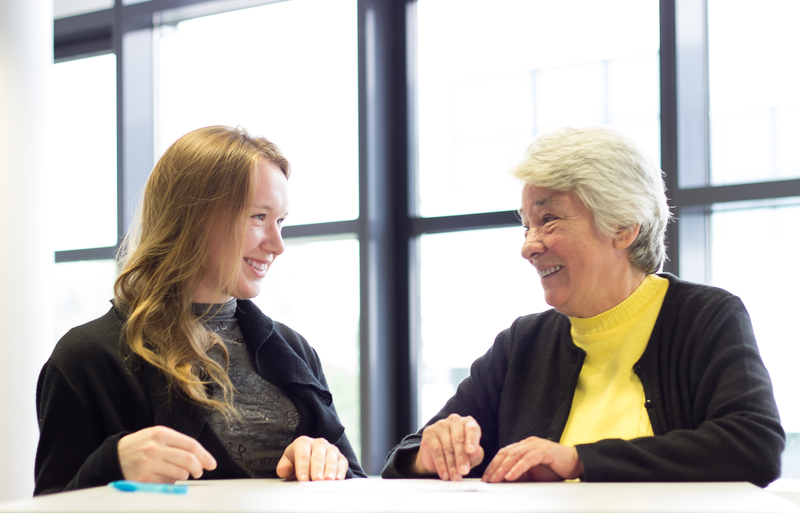 This programme links students from our University with a senior ́s home located in Kleve. Get to know our Grand Friends, and use the chance of a huge learning experience! Who can take part in the programme? has finished a german A1 level and/or is already coursing a higher level. You can be closer to the german culture, exchange experiences with your Grand Friend, get the wisest advices, practice your german, and much more! You just need the before mentioned german level, to be punctual and to be interested in and curious about different perspectives, cultures and lifestyles. Be aware that the number of participants will be for some time limited due to organizational matters. For further questions do not hesitate to contact us via e-mail or during our consultation hours.